Do you ever feel like you are living in a world of duality where there is such a strong opposition or contrast between two or more concepts or themes? 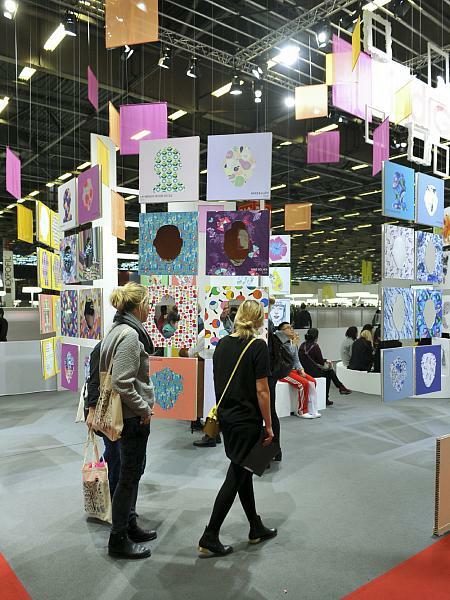 It was certainly the case while examining the trends at the recent trade shows of Ambiente, Texworld, Modamont, Le Cuir à Paris, Indigo, and Première Vision. The dualities of light and dark, work and play, hot and cold, old and new, local and international; they are all around us—even at the sizzling new hotel featured this month. What are you waiting for? Get inspired with the March edition! Paris — There is a lot of information in this issue—over 35 color stories, umpteen design directions, and a boatload of themes to follow. And if the numerous options weren’t enough to make your brain cramp, many of the directions are contradictory, but in fact, they are more like contrasting directions which appear to work well in unison. Also in this feature, see a unique manner of displaying future designs while engaging the viewer. Frankfurt — Here is one of the trend directions presented at Ambiente 2014 under the theme “Sovereign Composure”. The team at bora.herke.palmisano design studio has developed four directions for the consumer goods markets, which pull together the worlds of art, design, fashion, and architecture with a quieter and more laid back mood compared to prior seasons. Experimentation, an unconventional approach to materials, re-envisioned crafts, color and multi-functionality are embraced in each story. Frankfurt — East blends together with the West in this selection of products where Japanese designs are reinterpreted, porcelain is embellished, and wood is found on kitchen utensils and decorative vases. In Subtle Spirit contemporary versions embracing old techniques are found on practically every table. From plates with intentionally blurred designs to metal lampshades with intricate detailing, each of the 45+ images should be studied carefully for their subtleties. Frankfurt — Ideal for the dining room or the patio, the product selection for Serene Nature is simple, yet refined. The beauty is elemental. Pure forms are covered in natural materials. “Patterns” are made from the grains of the wood and the veins found within the stones. Designs are sparsely, made from clear or frosted materials. The overall feel is peaceful with an accent of pink to create interest. Frankfurt — The most masculine and bold of the four directions presented at Ambiente, Striking Mind stands out using powerful black and white contrasts with sharp accents found in bright yellow and strong blue. Jewelry, textiles, and glassware all have mesh structures and geometric forms in common. Expressive, striking, and meticulously arranged, this vignette is an attention getter. Paris — Deep, thought-provoking, and philosophical describe these insights for Spring/Summer 2015 envisioned for Texworld by the show’s trend team under the art direction of Louis Gérin & Grégory Lamaud. In a nutshell the report discusses how the values associated with gender have changed, it reiterates the importance of authenticity, it looks at the Greek words for love, and analyzes the impact of an international coexistence. Paris — Modamont presents the design directions for the Spring/Summer 2015 season in terms of shifting light, a focus on leisure, and the art of traveling. Color stories, style highlights, and product highlights outline the future fashions of ready-to-wear, beachwear, luggage and travel accessories. While geared towards the fashion industry many of the trim and materials also translate well into home product development. Paris — Last December Trendease published a preview of the Le Cuir à Paris Spring/Summer 2015 trends. Now we bring you a review from the show floor including leather and fur samples, innovations, and six Pantone color stories. “Illusion” is the theme for the seasons and it encompasses the shiny and the matt, the powdery pastels and the deep jewel tones. Berlin — If you are an avid reader of Trendease, you will know that our team travels around, a lot. Thank goodness that over the last decade more design hotels have been springing up around the world, making our journeys and explorations even more pleasurable. This hotel we are about to unveil to you has been open for less than ten days, so get your bikini ready because this place is hot! Bangkok — Sawasdee Ka! Warm greetings from Thailand where the Asian design trek begins. To get you in the mood this week’s newsletter shows that Asia has got talent. These award winning pieces from 2013 selected for this gallery are just the tip of the iceberg. We’ll bring you the 2014 launches hot off the trade floor once the exhibition opens. Multiple Asian Cities — It has been a non-stop week. Thus far we have attended Maison&Objet Asia, The Thailand International Furniture Fair (TIFF), and the Bangkok international fashion and leather fairs (BIFF&BIL). More in-depth reports and cross-referencing will be posted in the coming weeks, but in the meantime here is a gallery of images that touches upon a design direction seen at each of the events: sequins. Subscribers can click through examples of the razzle and dazzle within. Worldwide — These days have been spent in Barcelona, Spain working with HP and giving lectures at their most recent Digital Wallcovering Summit attended by manufacturers and print service providers. In addition to the regular tidbits, this week’s gallery includes examples of the design trend in surface design using blossoms full of petals in textiles and bedding ensembles. London — On Tuesday Trendease had the pleasure of attending the preview of the Designs of the Year 2014 exhibit now open at the London Design Museum until August 25th. The exhibition is chock full of diverse products that really give you an idea of what is happening in society and what the future could hold in terms of products and services that encapsulate lifestyle shifts. Although nothing beats going in person, subscribers can see close to 50 of the Trendease picks from the exhibit here.